KVMGalore is now shipping the new Raritan Secure Switch [RSS] from Raritan® – a brand of Legrand, and a leading provider of intelligent data center management and rack power distribution solutions ...read more. 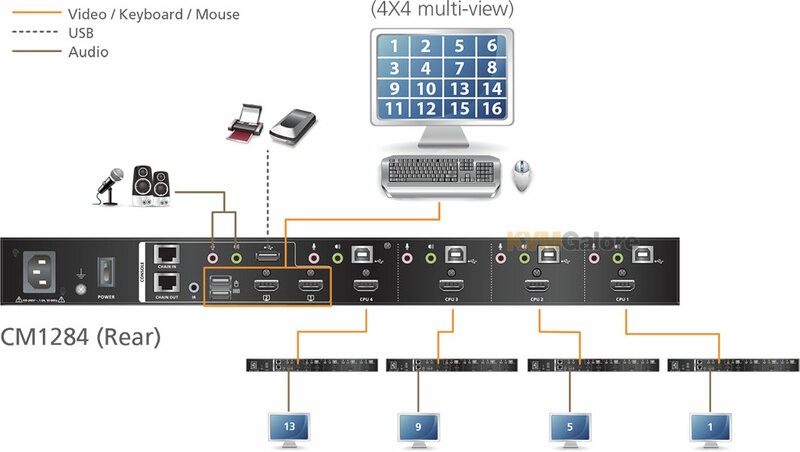 A great solution for simplifying digital workflow, HDMV-KM KVM Multiviewer offers simultaneous keyboard, video and mouse emulation on four computers, all from the convenience of one monitor. 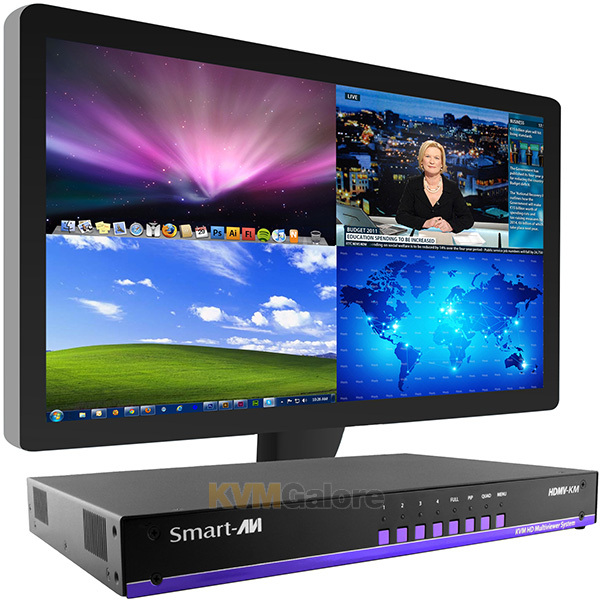 Designed with user ease in mind, this KVM multiviewer features seamless switching from one computer to another via mouse operation. Simply drag the mouse from window to window to start controlling the selected desktop: it's that easy! ...read more. Adder has always been well known for their extensive range of KVM and KVMA extenders. AdderLink INFINITY demonstrates their leading IP capability by delivering fluid interaction with computers as far away as your network can extend. AdderLink INFINITY allows you to build a flexible video-over-IP and KVM over IP infrastructure. Locate computers anywhere you like, share connections to computers, watch the interactions others have with computers, share control, collaborate, switch computers ...read more. The mission of KVMGalore is to provide simple solutions to complex tech problems. 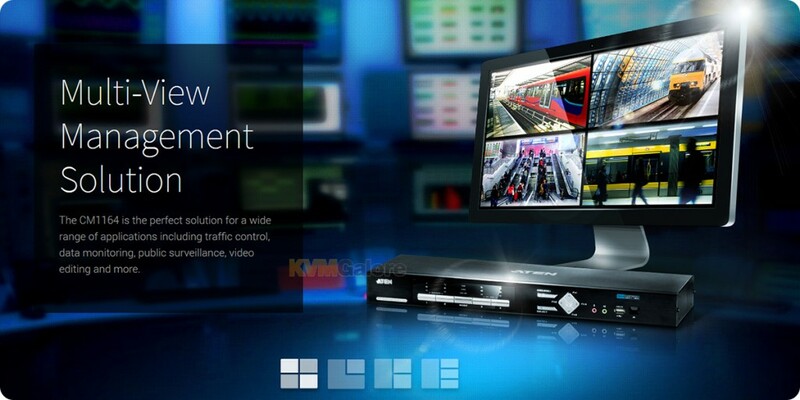 KVMGalore’s Multi-View Management Control Center is a prime example of a complex problem made easy through technology. For those working in industries such as air traffic control, production, and automation, the ability to manage multiple computers with a single screen is a crucial element of effectiveness. Previously, doing so was a technically clunky and visually unappealing feat. With the KVMGalore Multi-View Management Control Center, managing a variety of computers from one screen is remarkably simple.